Among the most important equipment in your home are those responsible for heating and cooling—refrigerators, furnaces, heat pumps, and AC units. Since these equipment are made durable for several years, homeowners often forget them, along with the memory of their expensiveness. Homeowners realize the importance of the equipment when it is already too late, when the AC units already need to be replaced or repaired. If you’re a homeowner who just encountered such problem, you should contact a professional and reputable air conditioning and heating contractor or HVAC contractor—a company that has the qualifications, skills, and knowledge to perform the job. While it’s easy to find a local contractor using a telephone directory, it’s of course a better to choose a contractor based on its qualifications or credentials. Just like any other types of service, air conditioning replacement and air conditioning repair should be convenient, fast and reliable. Such qualities can be seen if the contractor has long years of experience in designing, servicing, and installing HVAC systems. Also, the contractor should be updated with the latest developments in equipment, technology, and design procedures. Needless to say, the contractor should follow industry standards by complying with local and state codes and regulations and acquiring proper business insurance policies. You can tell an HVAC contractor does its job well if it’s highly concerned with what can meet your needs. 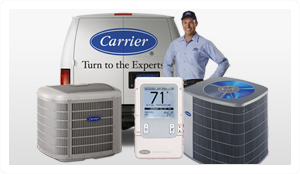 Whether you need to repair or replace condensing units, furnaces, air conditioner blowers, fans, coil and ducts, a professional and responsible contractor will provide you all the best options and caution you against the worst. It will also listen to your problems and resolve them one by one. For example, if you’re planning an air conditioning installation, the contractor will inform you what is available in the market, they advantages and disadvantages, their prices and their suitability in relation to your home. A highly regarded contractor is also aware of the effects of HVAC on the environment, and thus committed to employ devices and procedure as well as recommend units that are environment-friendly. Contractors gained training and certification to learn the procedures in reusing, recycling, recovering and disposing environmentally-sensitive mechanisms in HVAC systems. Sure, a contractor makes money out of servicing your AC systems, but this doesn’t make them care any less about preventive care and maintenance. A competent air conditioning contractor goes the extra mile of teaching its customers on how to operate and take care of their AC units. When you already have a candidate to do business with, make sure you do interview and background checking. Try to read reviews online of previous clients regarding the contractor. If the company has a little presence on the Internet, ask the contractor itself for a few references. Of course, it’s also important that you ask about the company’s certifications and license. Note that it’s also a plus if the company is affiliated with top professional organizations. This entry was posted in Heating Ac by berlinacs. Bookmark the permalink.